A travel trailer is a type of non-motorized RV that is pulled along by a towing vehicle for provision of shelter and amenities. The most popular of all towable RVs, travel trailers have lengths starting from 15 feet to 40 feet. Usually costing about $8,000 to $60,000 depending on its length and included features, travel trailers can sleep two to ten people. 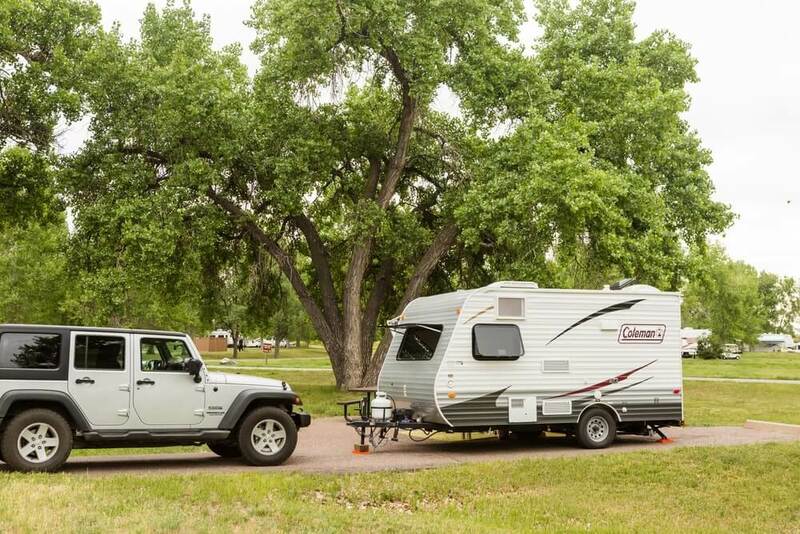 A truck or a family SUV are the most common towing vehicles used to pull the travel trailers. The choice of the towing vehicle will depend on its towing capacity and weight of the trailer. Normally, travel trailers will have floor-plans such as bunk houses to accommodate kids and guests, bed at the back or kitchen in the back designs and so on. Closely related to travel trailers are pop-up trailers and hybrid expendables. 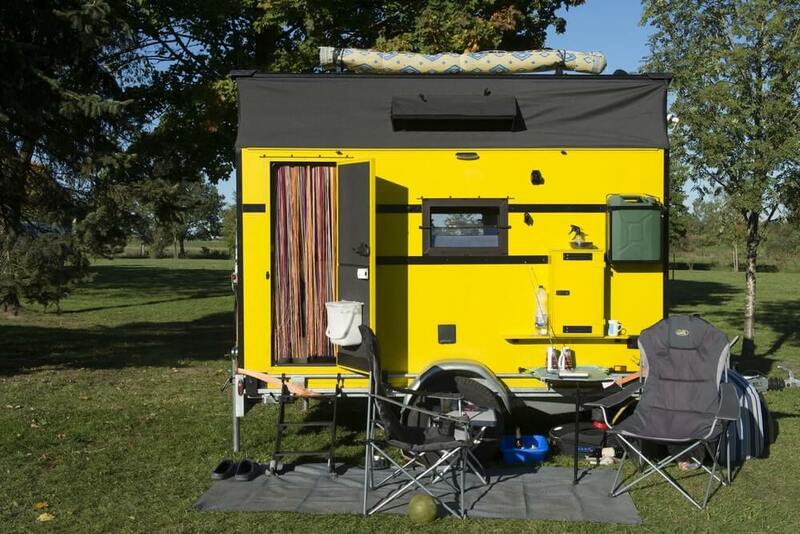 Travel trailers will have the usual amenities and features as in motorhomes for a livable home-on-wheels experience. This includes a kitchen, bathroom, bedroom, living room and storage facilities. Due to the large space size in these RVs, you can expect residential-style appliances and full-standing shower stalls. The kitchen will comprise of solid-surface countertops, 2 to 4-burner cooktops with an oven and microwave. You can also expect a convectional microwave, which doubles up as an oven, in more space-conscious trailers. A residential-style refrigerator is usually more effective in cooling but will require a generator and inverter to use. A gas or electric fridge is a more practical option for an RV, especially one with automatic switch-overs. Outdoor kitchens are also a popular feature in many travel trailers. That said, look out for extras such as; canopy, water/propane connection, sink, 2-burner cooktop and grill, mini-fridge and cabinets. Recliners and jackknife sofas are as well very common in travel trailers as they are comfortable and the latter can double up as storage and bed space. 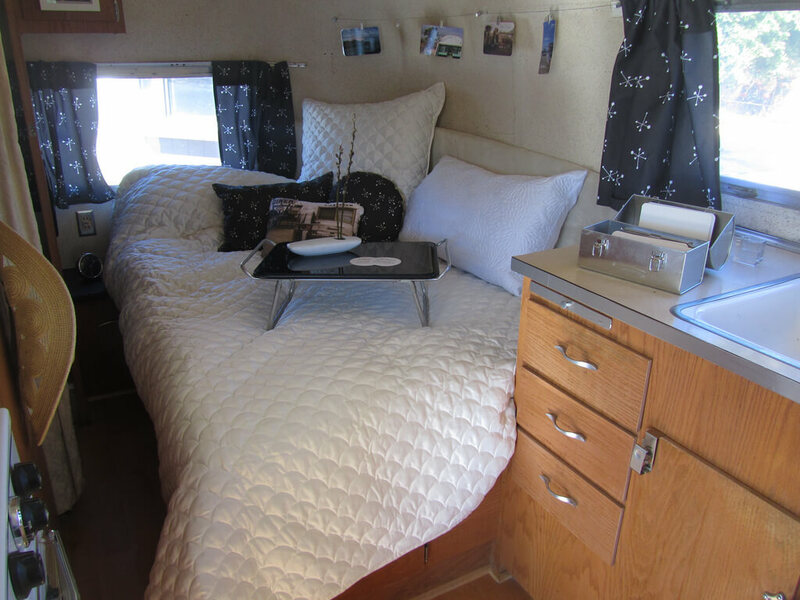 King/queen size beds are easily fitted in these RV type. Travel trailers have a dry bath, separated toilet, sink and shower stall, which may implement neo-angle shower stalls and skylight for easy cleanups and maximum headroom. Always opt for a porcelain toilet over a plastic one as well as stainless-steel faucets instead of plastic ones. Travel trailers will equally have an AC and heating system installed into the rig. Properly ducted vents plus a whisper-quiet AC unit should be the way to go. An electric fireplace helps in uplifting the homey appeal while still heating up the place. For twin-AC units, make sure you have a 50Amps connection and/or adapters for the same. Also, an entertainment system with a TV, DVD player and interior & exterior speakers is to be expected. In general, a trailer with an electric armless awning with LED lighting, a generator, a solar-prepped wiring and connections as well as automatic ignition water heaters, will guarantee you the best value for money. Other features to look out for include exterior storage compartments with slam-in latches, easy-grab handles, electric outlets and sturdy doorsteps with lighting and grip tapes for traction. Slide-outs may also be included in some trailers and may have hydraulic, cable-driven or electric-powered systems to slide them out. Either of these sliding mechanisms will be effective as well as require regular repair and maintenance. A few things that determine the overall build quality of a trailer include the following; underbelly and frame construction, sidewalls, plumbing, roofing, windows and types of insulation materials used. An enclosed underbelly made of galvanized steel will typically offer the best protection to the RV’s holding tanks and flooring. An Acrylonitrile butadiene styrene (ABS), a thermoplastic polymer underbelly can also be considered as the second best choice after steel. The sidewalls in most trailers are made of aluminum or fiberglass with insulating material underneath. Aluminum is lighter and more durable but offers very poor insulation and soundproofing. Fiberglass exteriors are stylish, easier to clean plus they offer better insulation than aluminum sidewalls. The underlying insulating or protective layer in the sidewall is just as important to consider. Azdel and Luan plywood are the most commonly used materials for this, with the former being lighter, odorless, waterproof, mold/rot-resistant and cheapest to repair. Trailers with Huck bolt structure connections should be your go-to as they eliminate risks of the normal tear/wear and rusting that is expected in welded connections. A steel I-beam or C-channel frame in the trailer ensures maximum support and durability of the rig as opposed to tubular aluminum or stamped steel foundations. One-piece seamless fiberglass roofing with a rock guard at the front is usually the best deal you can get with regards to trailer roofing. This roofing design prevents water penetration and allows water to easily flow off the trailer. Lastly, frameless windows will offer a stylish look, can be opened when it’s raining and will have their seals well protected from water and other elements. Towing capacity – This is the total allowable weight that a vehicle can pull along. Gross Combined Weight Rating (GCWR) – This is the combined maximum allowed weight of vehicle, cargo, passengers and loaded trailer. Unloaded Vehicle Weight (UVW) – Commonly referred to as dry weight. UVW is the weight of trailer straight from the assembly line and DOES NOT include the weight of LP gas, dealer-installed options, freshwater and cargo. Cargo Carrying Capacity – This is the maximum weight of cargo that the trailer can carry. Tongue weight – This is the force that is applied downwards to the hitch. Gross Trailer Weight Rating – Can also be indicated as GVWR, is the maximum allowed weight of a loaded trailer. Weigh your vehicle on a public scale to determine the loaded weight, passengers and fuel of the vehicle. It can also be calculated by adding the weight of passengers and cargos to the vehicles curb weight. Subtract the loaded weight from the GCWR of the vehicle; the resulting weight is the towing capacity. Whether you are buying a new or used travel trailer, make sure to inspect and test the following; leveling systems, plumbing, heating and air conditioning units, slide-out mechanisms, tires, roofing, refrigerator, flooring and power inverters. Check for leaks in the water lines and effectiveness of the valves for city water versus freshwater tank usage. The airflow vents for heating and temperature controls must be working plus the slide-out mechanisms should be damage-free and quiet to operate. The tires must be 6 to 8 months old for effective performance and safety. Signs of dry rot, tread wear and the indicated US Department of Transportation (DOT) code can help you figure that out. The DOT code contains the manufacturing location, tire size, company’s code and lastly the manufacture date (week and year combination). Else, you stand risks of tire blowout which results in severe damage of the underbelly and interior components. All roof-mounted components should be properly sealed with no signs of water damage. Lastly, check if the power converters are working as these will be necessary in converting 110 volt power from campground hookups to usable 12 volt power for most appliances in the RV. Additionally, the flooring should be free from any cosmetic damage usually caused by water leaks or protruding screws. Fridges may not function properly if the trailer is not leveled. Manual leveling systems are easy to repair/replace and can help in leveling the trailer. However, electric leveling systems offer the most convenient functionality despite their high costs of repair. A power tongue jack with a docking light is also pretty standard for quick hitching during any time of the day. Slide-outs help maximize the overall space of any RV. However, they can also be the source of water penetration and damage. Be sure to check out the effectiveness of the seals by any means necessary such as pouring some water on the exterior part of the Slide-outs and checking if the interior is affected at all. This dreaded exercise is usually a two-person job. The spotter stays by the side of the rig to give directions and check for any possible obstructions in the trailer’s way. Walkie-talkies are a great tool to help with communication when backing up a trailer. Approach the desired parking spot for the rig; scoop a little into the spot and drive past. This scoop helps align the trailer for better entry. Then your assist will guide you into the parking spot, instead of using left or right words for directions use “driver side” or “passenger side” terms for less ambiguity. Backing up a trailer requires a lot of patience to perfect. Therefore, maintain a slow speed and don’t be afraid to start over. Always keep in mind that the trailer will turn the opposite direction of your steering wheel. A local dealership can help winterize your rig. However, if that is not an option, the process is fairly easy and quick to do on your own. Ensure you have all the necessary tools and make sure the water heater is turned off. First, you need to drain all the water in the reserves (freshwater tanks, black/gray water and water heater). Close the cold/hot water valves to prevent antifreeze from getting into the water heater. Turn on the pump for up to 15 seconds for a dry run and turn off all taps. Place a suction tube into the RV antifreeze container and turn on the pump to allow it to get into the water lines. Turn on the hot and cold water taps until you see the water color change into that of the antifreeze. Pour some more antifreeze in the sinks and you will be all set. Travel trailers have very spacious interior and exterior storage compartments. 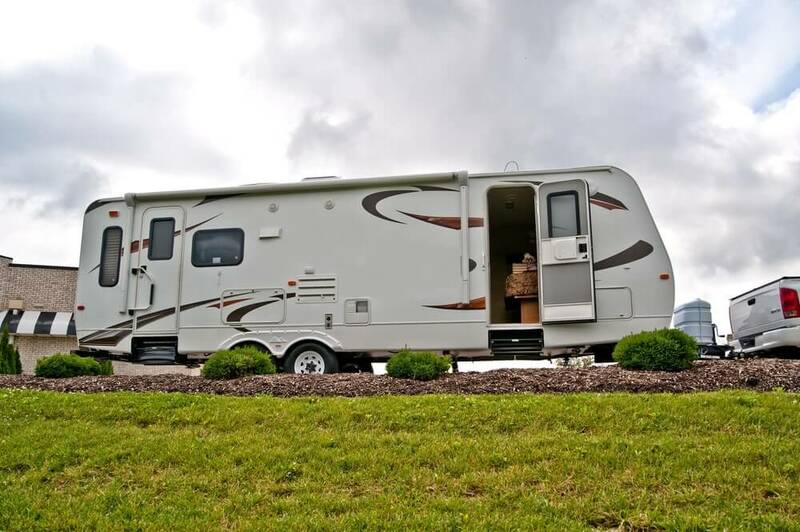 This allows for more amenities and features for a comfy RVing lifestyle. The length of the trailer gives opportunities to utilize bunk house floor plans, convertible dinettes, queen beds and jackknife sofas for maximum sleeping spaces. Some models come with opposing slide-outs for larger sitting rooms with wide walk-around spaces. They will also have factory-installed bike racks at the back or at the front of the trailer for hanging bikes and storage bins. This allows for extra storage space without voiding the manufacturer’s warranty. Living space is further expanded with side awnings well-fitted with an outdoor kitchen and entertainment system. Full-standing shower stalls are a common theme in travel trailers. Travel trailers can be easily towed using a ½ ton pickup truck, sedan, SUV or even a minivan as long as the weight limits are met. They also have a one-level design unlike most fifth wheelers which have bi-level interiors that require the use of step-ups to get into the bedroom or sitting room. They have automatic leveling systems for easy setting up on campgrounds. Travel trailers can be easily attached/detached freeing up your truck for daytrips and running errands. Most models either come pre-installed with back-up cameras and solar power kits or with the required wiring and plugs. Travel trailers come in a wide variety of lengths, weights and design options hence their popularity. The designs range from “teardrop” styled trailers, molded fiberglass options, mid-sized trailers to the retro and slightly more expensive Airstream travel trailers. They vary not only on floor plans but also on overall construction and handling. Airstreams are aerodynamic, low-profile and made of durable aluminum bodies. Some trailers will also feature more than one axle for improved towing stability and safety. The rigid walls of travel trailers, be it aluminum or fiberglass, allow for the best noise-proofing and insulation. Travel trailers are considered as an entry-level RV for anyone looking to get into the RVing lifestyle. The fact that they are not motorized greatly lowers the asking price of these RVs. Plus; you will be spoilt for choice with the many new and used options available in the market. Service and maintenance costs are fairly low in travel trailers as compared to motorhomes. Additionally, travel trailers are the most affordable towable RVs when compared to fifth wheel trailers. Heating and air conditioning in trailers are also enhanced by the heated underbelly, ducted temperature control system with vent fans, AC units, furnace and fireplace, at least in most models. Fishtailing is more prevalent with travel trailers than with any other towable RV. They usually have a high-profile, 8-13 feet tall, thus wind will affect them the most. Other issues that may lead to swaying include improper weight distribution and unaligned tires. Typically, you want a rigid connection between the truck and trailer to prevent swaying. Weight distribution hitches with sway-control capabilities exert pressure or friction to reduce or eliminate the hinge effect in travel trailers. Even though these systems greatly reduce pivoting and swaying, it should be noted that they operate very noisily. Other precautions that help prevent swaying include installing a sway bar or suspension airbags, getting a dually pickup truck for more traction, and upgrading and properly inflating the rig’s tires. If you notice any fishtailing or swaying when driving, slow down and drive straight. Alternatively, you can use the trailer’s brake system to slow down the rig. Sudden braking will only lead to more swaying or even jackknifing. Towing a trailer uphill or downhill also poses a lot of safety risks. It is recommended that you maintain a steady, controlled speed and avoid hard braking especially when taking corners. Engine braking, if possible, can also be more effective in bringing the RV to slower speed. Longer trailers usually 33 feet or more are either not allowed in most campgrounds and RV parks or simply can’t fit in most camping/parking spots. Travel trailers will require a suitable towing vehicle capable of supporting the added weight. Climate control in a trailer is also not at its best since the air conditioning system will be off when driving. Access to the trailer is restricted as the RV is made of two separate parts i.e. the truck and the trailer. This separation also poses issues when towing and backing up, which will require a lot of practice to perfect. Maneuvering and driving especially on twisty roads becomes problematic. Travel trailers are prone to break-ins than motorhomes. 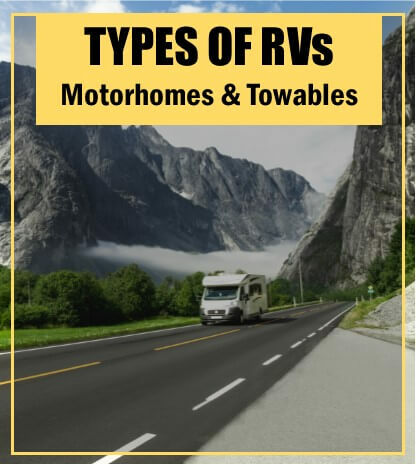 Travel trailers are very popular in the RV market; therefore, you are guaranteed to find a perfect travel trailer tailored to your specific needs and preferences. Renting or buying a used travel trailer can help you evaluate the ideal floor plan and features for you. This includes visiting many dealerships and RV shows nationwide for more variety. Regardless of which trailer you get, you can expect a home-like setting complete with necessary amenities and features for a comfy RV lifestyle.